Sold in 1941 to the Ministry of War Transport, London, England and managed by the Houlder Line Ltd.
Scrapped in 1952 at Port Glasgow, Scotland. 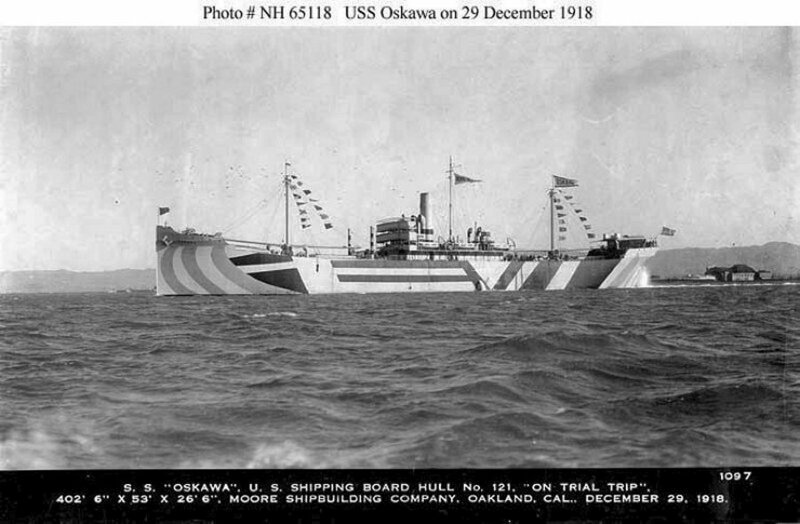 Dictionary of American Naval Fighting Ships: Oskawa (ID 3797), a refrigerator ship built in 1918 by the Moore Shipbuilding Co., Oakland, Calif., for the USSB, was acquired by the Navy for use as a Naval Overseas Transportation Service refrigerator ship 6 January 1919 and commissioned the same day, Lt. Comdr. C. H. Batehelder, USRNF in command. 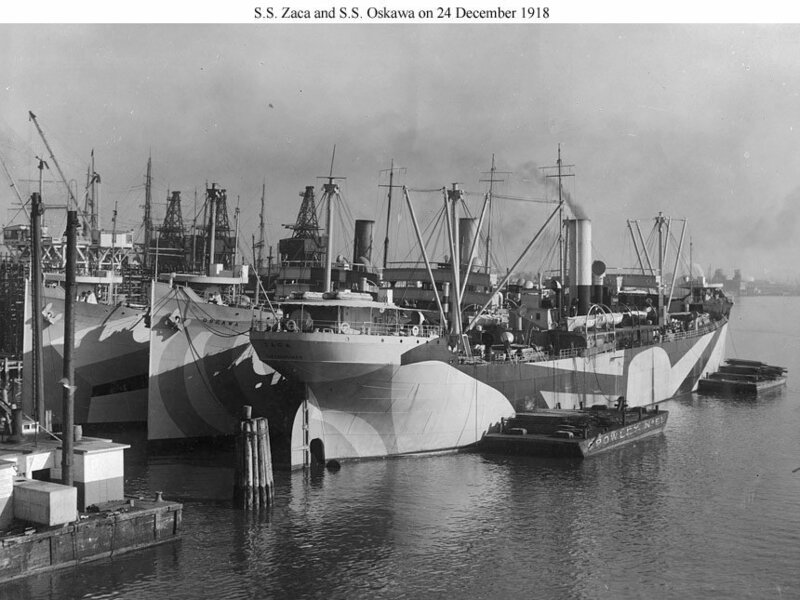 In commission for less than two months, Oskawa decommissioned and was returned to USSB, at New York, 27 February 1919. She remained in custody of USSB and its successor the Maritime Commission until World War II.